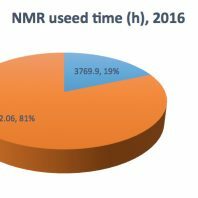 The Nuclear Magnetic Resonance (NMR) Unit provides researchers with access to automatic or manual NMR experiments. It also advises researchers about which experiment will be most appropriate to their needs. It trains and teaches researchers about how to use NMR, what information can be obtained from NMR experiments and how to optimize the instrumental resources available, from practical details to general NMR knowledge. 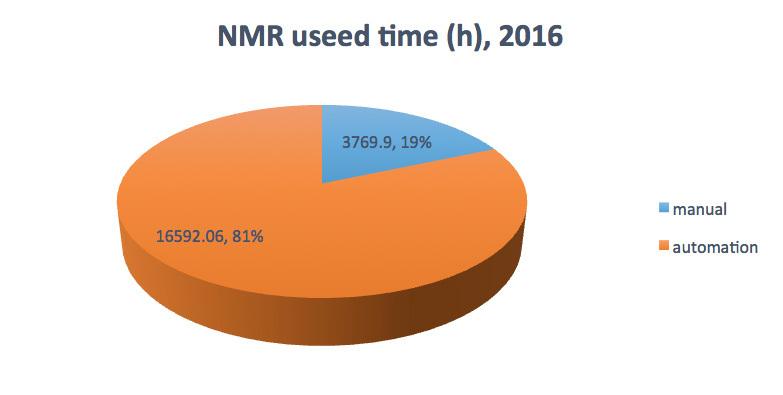 The NMR Unit instruments measured during 20362 hours in 2016, only 14 hours less than the previous year. 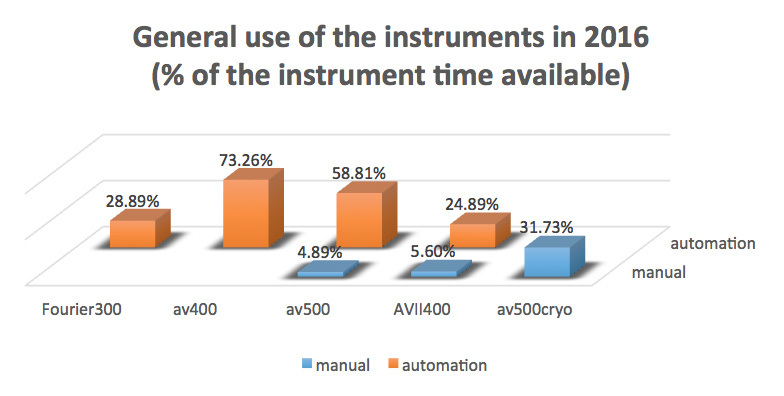 81% of this time was used to measure samples under automation while 19% of the time was used to measure manually. 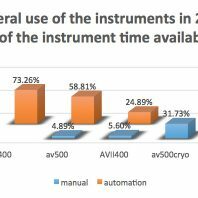 The use of the equipment under manual mode increased by 2% compared to 2015. Regarding the use of the five spectrometers available, the most used instruments are the 500 MHz and one of the two 400 MHz spectrometers. These instrumnets were used around 70% of the available time. 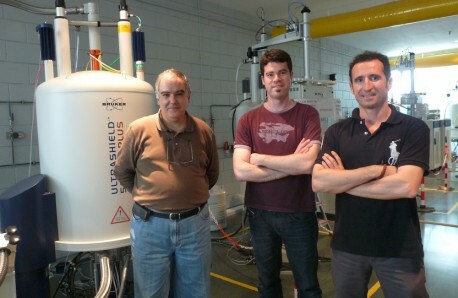 During 2016, the NMR unit has implemented two new experiments. The experiment called “proton pure shift”, where all the proton signals appear as singlets, and an experiment to measure 133Cs.